“in an audio message released Sunday, Usama Mahmood identified the dead as deputy chief Ahmed Farooq and Qari Imran, in charge of the group’s Afghan affairs. Research shows that drones are counterproductive with some counter -terrorist experts now recognizing and writing on this fact. Drones incite retaliation violence and radicalize youth as was shown in a recent video of a militant camp in Pakistan where family members of drone victims were being trained to take revenge. Anti-drone campaigners have repeatedly asked why drones that cross into national airspace are not downed by Pakistan that boasts of the competence of its Armed Forces. Pakistan is said to have the capabilities to take down a drone but appears not to have the motivation despite loud protestations of annoyance when it suits. Hypocrisy reigns supreme. 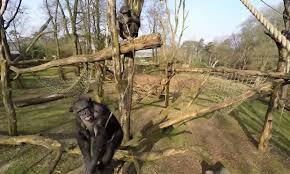 “having little care for such superfluous technology, the chimp prepared to ambush the drone mid-flight. The drone was destroyed after footage was taken. Perhaps Pakistan military could benefit from using this demonstration of strength and determination as a training video. 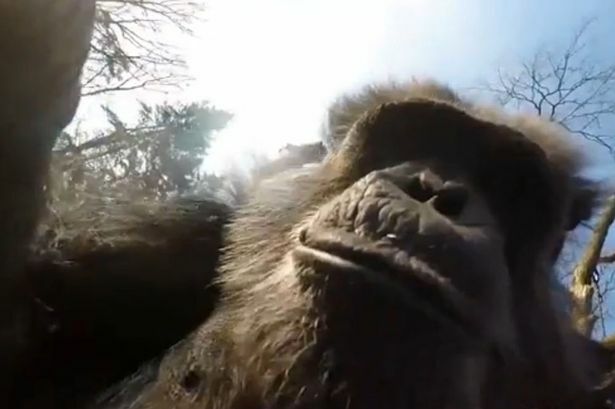 The chimp was not afraid to tackle his/her masters and show who was boss whereas Pakistani military minds on the other hand appear enslaved by those who hold them captive with US dollars.